This Walk With A Doc program is a walking-based, small-group, outdoor fitness program for persons attending the Slimming World Cardiff (County Hall) class – and the first WWAD program in the UK. The program is not a weight loss program, but a program to promote the general health, wellbeing and fitness of those undertaking a weight loss program, many of whom are approaching their target weight. The group meets each Tuesday and Thursday evening at 18.00, and each Saturday lunchtime at 12.00 after the mid-morning Slimming World class. The 60-90 minute sessions, which take place at several locations in the Cardiff Bay area, include a walking warm-up/pulse raiser, flexibility stretches, main walking CV with speed and elevation intervals, resistance exercise using body weight and resistance bands, walking cool down, and maintenance and developmental stretches. The sessions have plenty of time built in for instruction, monitoring and discussion of health and exercise topics. Prior to joining the program, prospective participants undergo health screening using the Physical Activity Readiness Questionnaire (PAR-Q), and those answering YES to any of the questions on the PAR-Q, require clearance from their physician before starting the program. As well as health screening, prospective participants are given written information about the program aims, risk and benefits, and their part in risk reduction, then asked to provide their informed consent to participation. 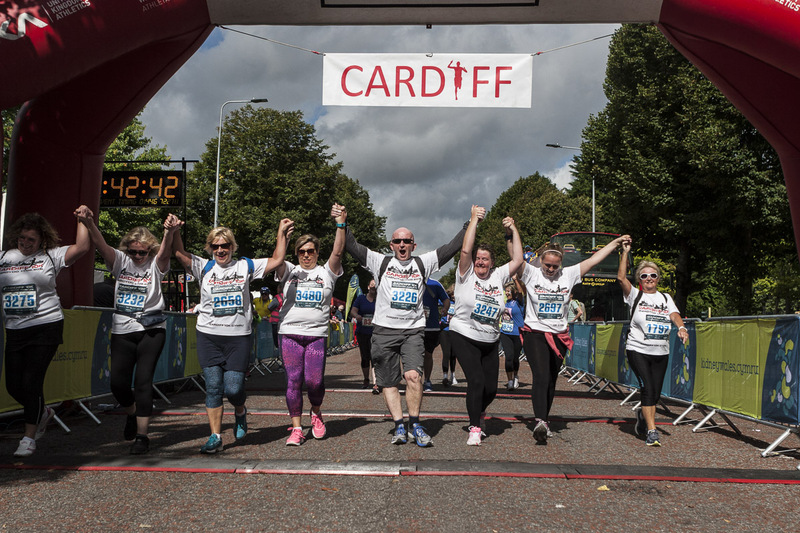 The program has been running for two years, with all participants making progress in strength, balance, flexibility, endurance and confidence, and with members successfully completing the Kidney Wales Cardiff 10K in 2016 and 2016, and the Pendine Sands and Movember 10Ks in 2017. Though some of those who completed the 2017 races had done the 2016 race, most had not, and for some this was their first ever competitive sports event. The age range of entrants was 22-70 years. But as well as improved levels of fitness, participants report that they sleep better, have a reduced tendency to eat when under stress, and that they get lots of complimentary comments about their appearance.